I’ve written before about how to keep your wallet and/or handbag clutter-free. Here’s another way to streamline your load when you are out and about. How about owning the World’s Thinnest Wallet? That’s what All-Ett Billfolds calls their products. The All-Ett World’s Thinnest Wallet was created specifically to prevent sciatic nerve damage and the back pain that comes with it, particularly for those people who carry their wallets in their pockets. It’s also a great space saver if you carry your wallet in your handbag. 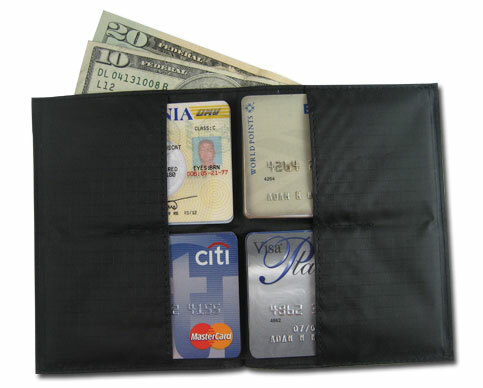 All-Ett wallets come in 8 different styles, as well as in different materials and colors. Some of them are even recyclable! I was notified that you can get 25% off of any color products through 1/15/10, although I noticed that color items are going into the shopping cart at 50% of the original price. If you’re still struggling over what to get some people for the holidays, this might be your answer.